Nine pounds of plastic furniture, treasure piles, and assorted debris. A week - and already we have a third painted, and it is seeing regular use. We are pretty happy with our acquisitions. Wow! Lots of stuff! Sounds fun. Any chance of some pics? I bought into the crates, too! They are great! 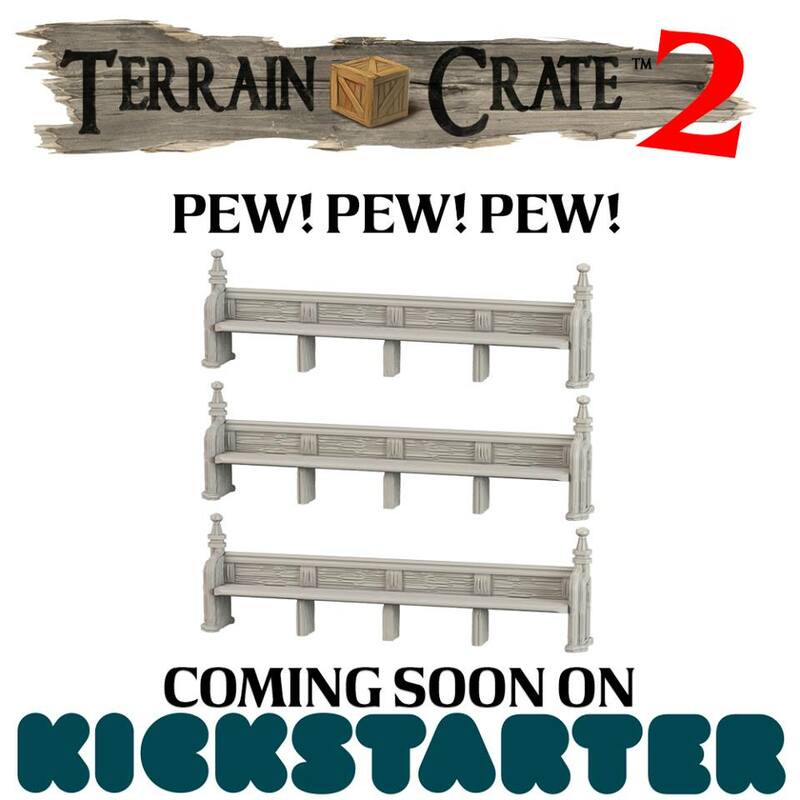 Tons of terrain goodness! Time to dust off the Cathedrae! 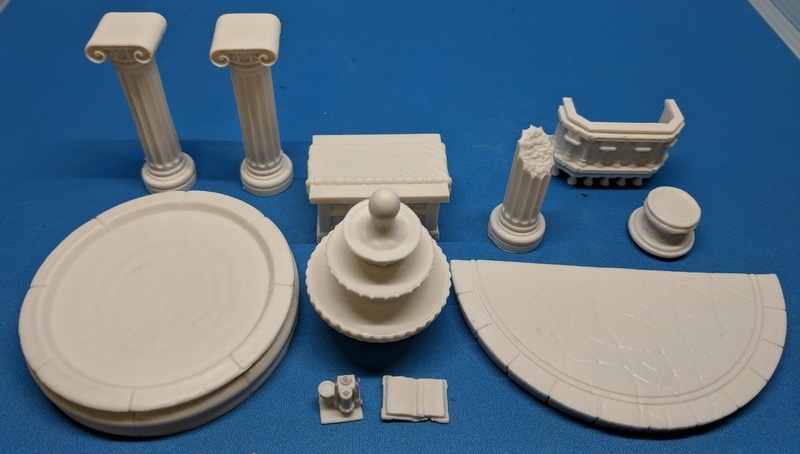 The Temple set in the first Terrain Crate KS also had some fifty church scenery - definitely a great for for Cathedrae Noctis. The pupt, in particular, is very, very nice.